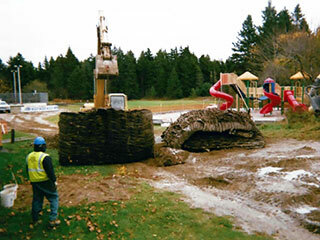 Coastal Drilling & Blasting Inc., has been servicing Maine since 1984 with professional drilling and blasting services. We offer our services to residential, commercial and municipality accounts and have earned a solid reputation for providing quality, safe, and cost-effective drilling and blasting services. We also offer non-explosive ledge and concrete removal. No Shortcuts, Just Hard Work and Dedication on Every Job We Do. 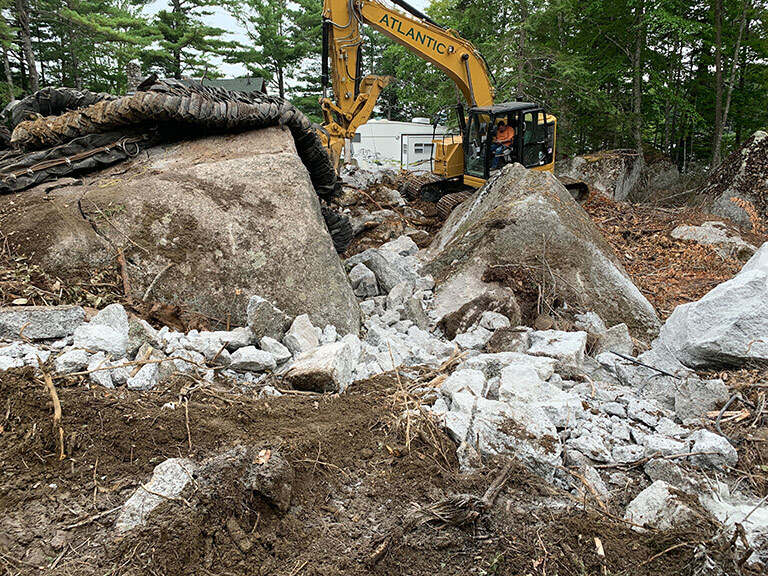 This homeowner needed us to remove rock and ledge close to his existing foundation. We drilled and blasted inches away from the foundation. This was successfully accomplished by extensive line drilling and controlled blasting. This job was done in Machiasport, Maine. This is a blasting job we did for a manure pit in Atkinson, Maine. 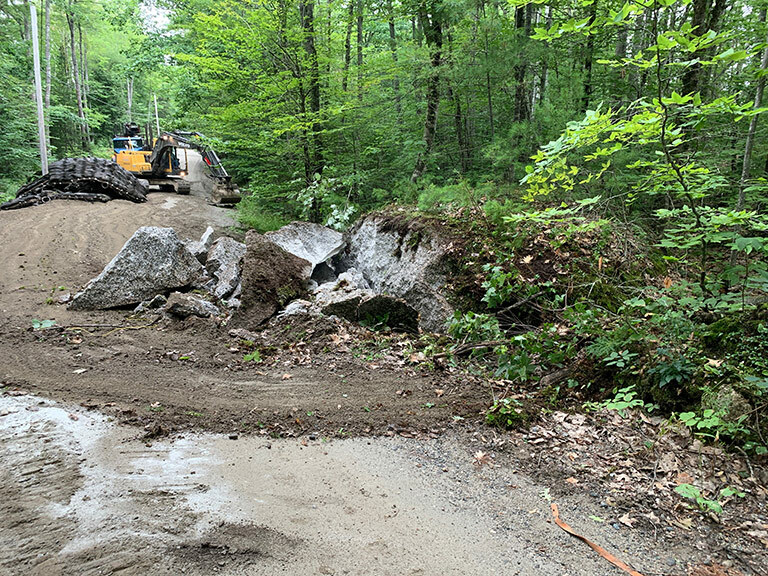 Nine inches of rain can cause some major damage which is exactly what happened to Lucerne-in-Maine Corporation in Dedham, Maine. One side of the road washed out after the rain was diverted across the roadway and undermined the pavement. We Offer Statewide Services Throughout Maine. Copyright © 2019 Coastal Drilling & Blasting, Inc.